Seeing a film that moves you and keeps you thinking about it for weeks after is one of the greatest treats the silver screen serves up and Ain’t Them Bodies Saints happily falls into that category. A truly beautiful and sprawling love story this is a lovely film that will only make you realise how sucked in you are to the story when it ends and you are as wracked as the characters. A love story set in the beautiful Texas, the film smoulders much like the landscape it is set in. While the set up felt rushed and i was initially unsure if enough had been done by the writers to make me interested in the characters i found my worries being forgotten as the story unravelled with a subtle intensity which made it a real treat. Casey Affleck and Rooney Mara play the parted lovers, Bob and Ruth, who have found themselves in this predicament thanks to their own mistakes. Both shine on screen, with Rooney Mara becoming her character to such a degree i on many occasions forgot who i was watching. Affleck can’t be overlooked either. His nonchalant and yet determined, slow burning performance paired with Mara’s onscreen show combines to be devastatingly brilliant. Ain’t Them Bodies Saints may not be a fast paced film but it has a certain something that ensures you invest in the characters journey’s and never once want to look away from the screen. The cinematography of the landscape captures a sense of isolation felt by the characters and ensures that the viewer is taken on their journey giving us not a moments pause to jump off. While i am a self confessed fan of these kind of love stories Ain’t Them Bodies saints instantly fell into the bracket of sprawling greats, alongside films like Legend’s of the Fall and Cold Mountain. One of the most moving and beautiful films i’ve seen in a long while, this is not one to miss. Ain’t Them Bodies Saints is released in the UK today. Steven Soderbergh’s latest and possibly last film Side Effects tells the story of Emily Taylor (Rooney Mara) who is suffering from severe depression, emotional breakdowns and suicidal impulses. When Dr Jonathan Banks (Jude Law), her psychiatrist, prescribes her a new experimental medication called ‘Ablixa’ to treat her condition, a fatal incident involving the sleepwalking side effects of the drug leads to Emily killing her husband. With Emily now in a mental hospital, Dr Banks refuses to accept responsibility and embarks on a dark trail of corruption, betrayal and revenge in his search for the truth pushing his career and life to the limit. 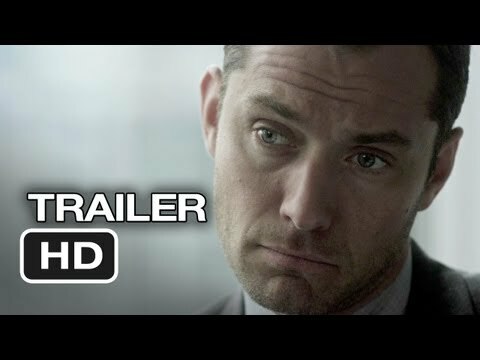 Underneath this dark suspense thriller is a story of lies and corruption held together with perfect casting and strong performances form Jude Law and particularly, the gorgeous, Rooney Mara. The film has that cool slick artistic look and image that is what we have come to expect from a Steven Soderbergh film. Whilst this is an intelligent story that also probes a few thought provoking questions about medical ethics in the pill popping generation, some of the characters motivations come across as slightly cheap the final act leads to an underwhelming climax. A few twists along the way keep things interesting but it is nothing we haven’t seen before. This is an elegant looking film with good acting, direction and moments of suspense and drama worth watching for, but in the end comes up a little short. Lets just hope that this isn’t Soderbergh’s last film as although satisfying, we have seen better films from him. The trailer for Side Effects left us with a chill so if you want to experience the full impact look out for it in cinemas this weekend. With an impressive cast including Rooney Mara, Jude Law and Steve Soderbergh favourite Channing Tatum this looks set to be one hell of a film. Charting the suggested disastrous side effects things begin to unravel for all involved. Take a look and see if you get hooked, like we did.